Only 250 metres from Chrisi Ammoudia Beach, Hotel Emerald features an outdoor pool with a snack bar enjoying full views of the Aegean Sea. Surrounded by a 400-year-old olive grove, it offers self-catered accommodation with free Wi-Fi. 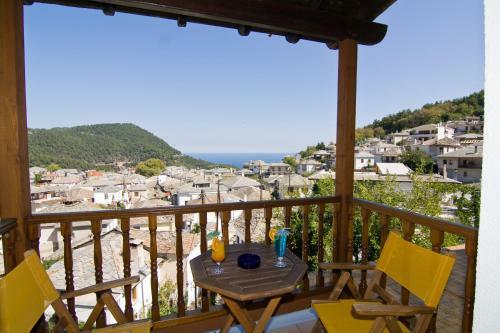 Located in the village of Panagia, amidst lush plane trees, Thassos Inn offers accommodation with a furnished balcony enjoying views of the Thracian Sea or the mountains. It has a caf�-bar and provides free Wi-Fi throughout. The centrally situated Philoxenia offers a swimming pool, and air-conditioned rooms with balcony. 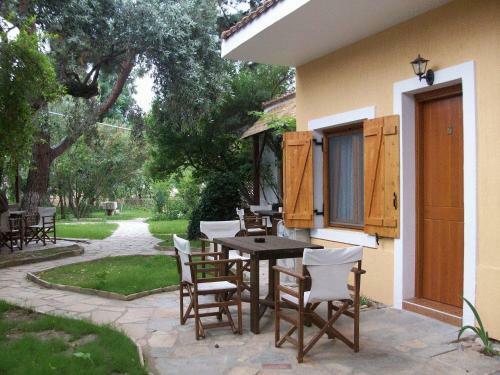 It is located in Limenas, Thassos� capital, opposite the Archaeological Museum and close to the Ancient Market. 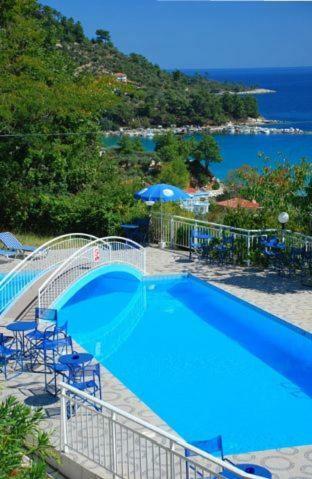 Peacefully located in Limenas, in Thassos, Danae Hotel is a 10-minute walk away from the town centre and the beach. It offers free Wi-Fi and on-site parking. Pavlidis Hotel is located in a quiet and convenient area, less than 10 minutes walk from Thassos� port and 5 minutes' walk from the city centre. The beaches are in close proximity. Situated in the Chryssi Ammoudia countryside, Dimitris Hotel is 400 metres from a sandy beach. It has an outdoor pool, and offers rooms with balconies and views of the Aegean Sea. Dimitris rooms are bright, and have simple wood furnishings. 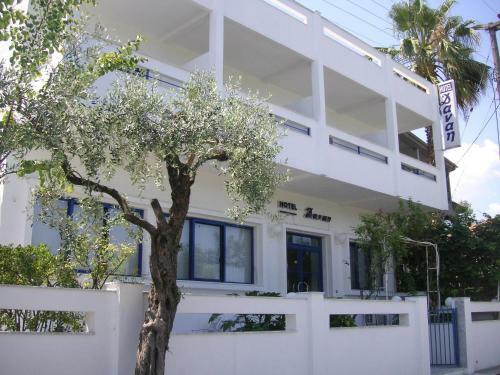 Just 800 metres from Thasos Port and 250 metres from the beach, Mary Hotel offers air-conditioned rooms. Facilities include free parking and common areas with free Wi-Fi. Rooms have private balcony with view of the garden. 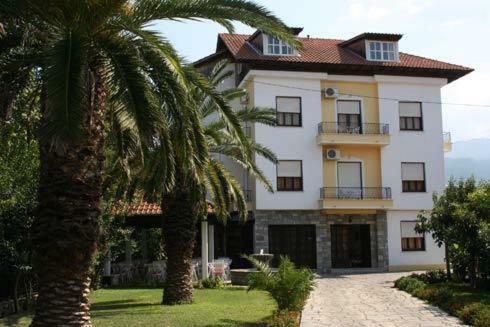 Located in the centre of Limenas, Vicky Hotel is set within a palm-tree garden and offers rooms with air conditioning. 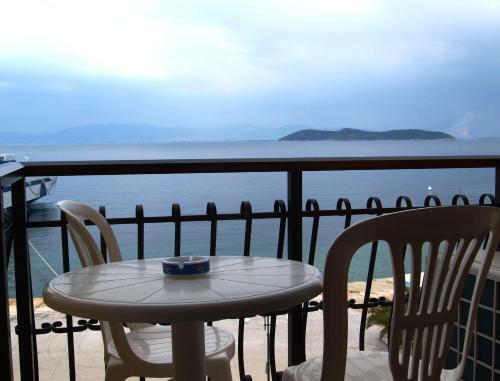 Within walking distance, guests can reach the 2 beaches of Limenas featuring sun beds and umbrellas. Featuring a swimming pool with hot tub and pool snack-bar, and barbeque nights, Hotel Sirines is situated in the south coast of Thassos, just 30 metres from the 2-kilometre Potos beach.